In some cases advanced periodontal disease can leave a patient with recessed gums, exposed tooth roots, or black triangles between their teeth. The cases may need to be treated with gum surgery. Cosmetic gum surgery, also including cosmetic osseous surgery, can restore the beauty of your smile. Advanced periodontal disease may be unresponsive to extra home care and non-invasive procedures, such as periodontal cleanings. 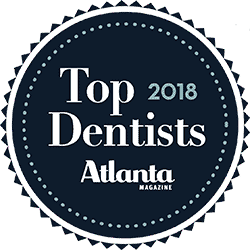 A periodontal procedure, or gum surgery, may be required to access and remove plaque, bacteria, and damaged tissue caused by periodontal disease. Such gum surgery may involve gingival flap surgery, gingivectomy, or gingivoplasty, depending on the case. Our doctor will work with you to determine the best treatment once he has completed a comprehensive periodontal evaluation. Advanced periodontal disease damages the structures that support the teeth. When treated properly, it can be controlled. This will prevent further damage to gums and bone and loss of teeth, but the result may not be very aesthetic. Cosmetic gum surgery and other cosmetic procedures can bring back your beautiful smile. If you’d like to find out how cosmetic gum surgery or another cosmetic procedure could restore your smile, call our office or request an appointment online. We’ll help you find the best time for your visit.